There are so many moments through the season that deserve a pause, a little extra time to take it all in. We typically find ourselves running in so many directions on race days, those moments can be hard to come by. But 2013 provided us with a lot to pause for. 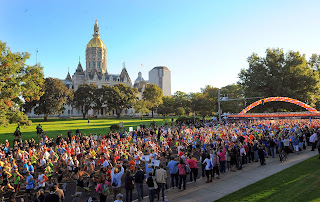 One moment that meant a lot to me personally was the start of the 20th Running of the Hartford Marathon. The line of excited runners stretched as far as the eye could see, from the State Capitol well beyond Bushnell Memorial Hall – an amazing sight. The gun went off and for the next 10 minutes a sea of humanity passed by, each person with hopes and anticipation about the journey they were starting. Nineteen years of hard work swelled in the form of the crowd before me. In that moment, I felt so proud of the staff and volunteers, without whom I would never have made it to that point. Another extremely poignant moment in our year was the ringing of the ship’s bell at the start of the Sandy Hook Run for the Families. When we planned the start ceremony, I was searching to set the right tone – one of remembrance, respect and hope. Governor Malloy, Newtown’s First Selectman Pat Llodra and Reverend Matt Crebbin of Newtown Congregational Church were confirmed to speak. The music appropriately reflected the mood – Irish tenor, Lt. Kevin McCarthy of West Hartford PD would sing the National Anthem and 250 sweet young voices of the OAKE National Children’s Choir and the Travelers Choral would sing America the Beautiful. Yet, I felt we needed something else. My husband, Ken, suggested that we ring our ship’s bell and we decided it should be rung 26 times – once every 5 seconds. Ken went to our sailing club and unscrewed the 35 lb. brass bell from the wall, wrapped it in a blanket and brought it home. We practiced for a week, Ken ringing it upon my queue every 5 seconds. It had to be perfect. 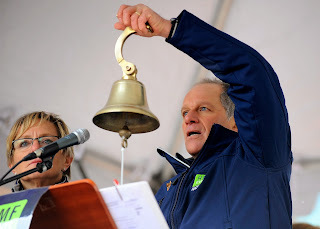 Race morning, we began ringing the bell. The sound was perfect: solemn, poignant, a beautiful tone. By the second ring, there was complete silence in the crowd before us of 20,000 people. Complete silence. Every 5 seconds, we struck the bell, each time envisioning an angelic 6-year old or the caring face of an educator. It took a very long time to ring that bell 26 times. It struck me deep in my soul and I believe the same was felt by everyone else at the start that day. 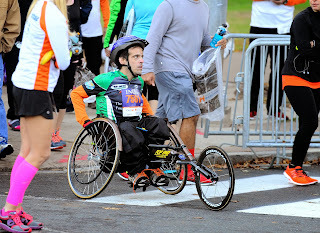 In addition to my personal experiences and memories, I hear countless stories about how HMF races impact other’s lives and it truly is a humbling experience each time. In 2012, I met Steve Anastasio, a wheelchair athlete who was on our Elite Inspiration Team last year. We kept in touch as he trained this year, and I was honored to watch him cross the finish line to complete his first half marathon. It was such a wonderful moment for him, and we were lucky to be part of it. We see love in the air at our finish lines every so often too. This past year we had one proposal at the finish line of the Surftown Half Marathon & 5K, and one of our blog’s followers commented the other day that she got engaged at the finish line of the Niantic Bay Triathlon! Another couple who live along the Hartford Marathon course took it a step further and revamped unused cowbells into their wedding favors. Each year, we get to meet so many inspiring people and experience these incredible moments. May you each have many great moments to look forward to in 2014, happy holidays! Scouting race locations is an exciting behind-the-scenes job. Each location presents its own unique benefits and challenges. Besides the road conditions, turns, hills and scenery of the course itself, traffic flow, parking availability, safe crowd management and emergency services access are important race planning details. 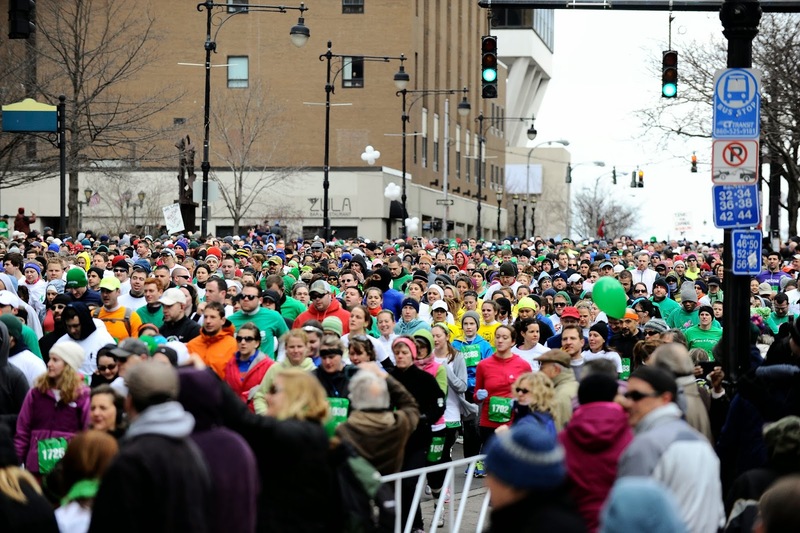 An unprecedented location challenge in 2013, and arguably one of the most defining events of the year, was the Sandy Hook Run for the Families and its overwhelming capacity demand. 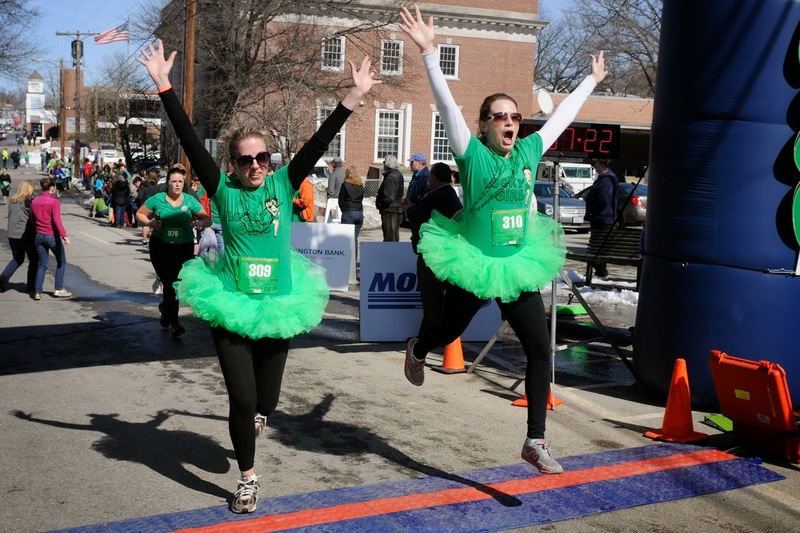 Registration for the race was skyrocketing and we quickly outgrew our first Danbury venue at Western CT University, then our second downtown Danbury venue. Beyond course capacity itself, the limitations on every other aspect of race management required we move the race to downtown Hartford, where course and necessary runner services had proven to accommodate this demand. Behind the scenes, we had vetted 3 different locations – meaning 3 different course designs, 3 different permitting processes and 3 different race plans – all in 60 days. 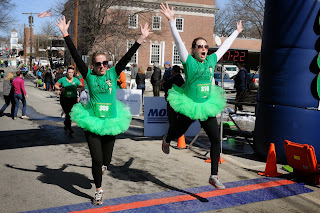 The incredibly hard work of so many people proved well worth all the location changes – the Sandy Hook Run for the Families was the largest inaugural 5K event in the world! Like everyone in the running community and across the US, we were thoroughly shaken by the tragic events at the Boston Marathon in April. 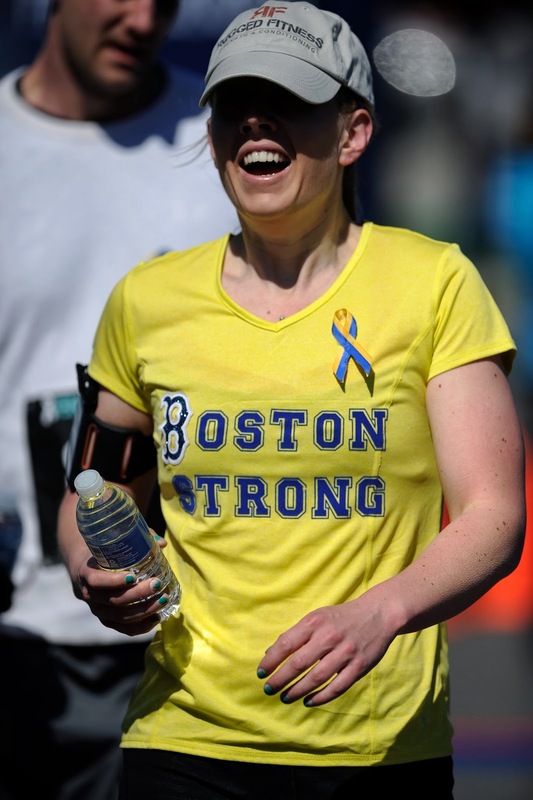 Beyond our personal sadness and the emotional effects of Boston, professionally we knew that day would forever change race planning and location assessment. 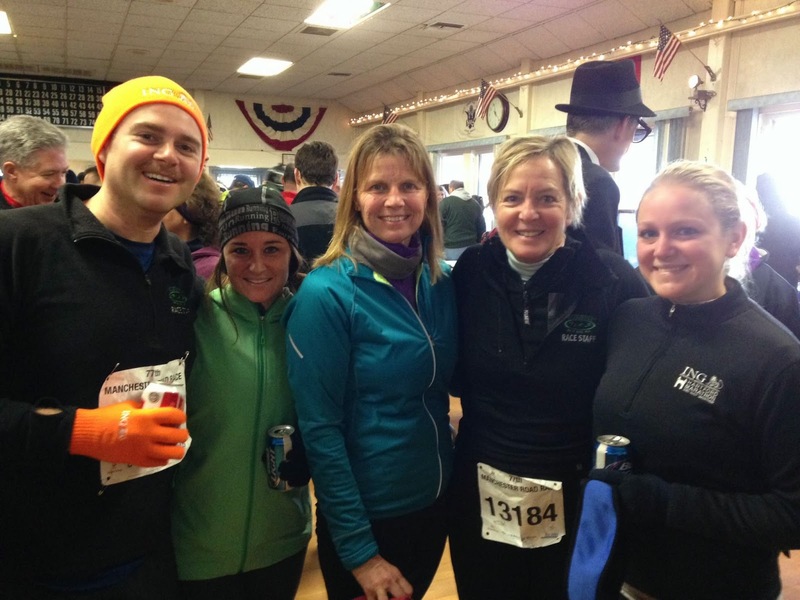 As a starting place, we wanted to offer a community run location for runners from Boston to come together. We invited them to the following week’s Enough! A Race to End Violence as a small show of support. Many of them came to run with us through the streets of New Britain surrounding Central CT State University. It was a powerful and emotional day full of tears and resilience. In the following weeks and months, we reviewed every detail in our security plans and assessed locations with a different perspective than ever before. Many of you saw this along the course and at start and finish locations at our events this year. Outside of course safety and security, the innate limitations of great locations can create some logistic nightmares. 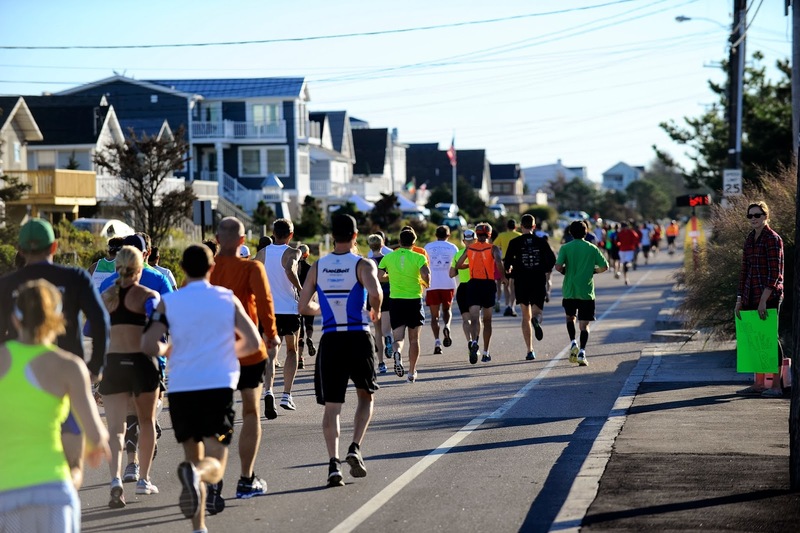 The increased participation and draw to the Surftown Half Marathon & 5K this past September culminated in some less-than-ideal traffic issues. One of Surftown’s biggest draws is its gorgeous location – the course runs along Misquamicut State Beach and through the quaint streets in Westerly, RI. However, there are only two ways in and out of the area which created a long backup as our runners began arriving to the race site. We’ve already made new plans to handle this aspect of the race for 2014. We love all the feedback we get from you and use it in all our planning to make races the best experience we can for our runners. Any location/course feedback is welcome in the comments below! As New Englanders, we know that Mother Nature can easily change best-laid plans. As the snow keeps coming here in CT, we reflect back on the extremes in 2013. 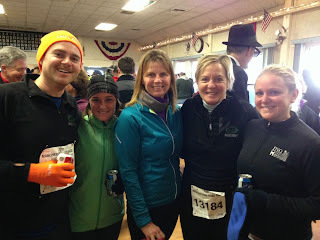 Weather challenges began with our very first race: the Courthouse O’Putnam 5K & Wee Mile. Days before the race, 24 inches of snow was dumped on Putnam so we needed to ensure the entire course was plowed, making it as ice-free as possible and safe for running was a major endeavor. Kudos go out to the Putnam Public Works Department for working with us and getting our course cleared in time for race day! On the other end of the spectrum, the Amica Ironhorse Half Marathon, 10K & 5K in June was one of our hottest races to date. The #1 priority driving extreme weather decision-making is runner safety, and behind the scenes it’s all about planning. The forecast showed temperatures around 80 degrees with humidity around 65-70%. We set up extra water stations along the course, urged runners to take it easy and listen to their bodies, and told volunteers to keep their eyes open for runners who might be struggling. We put plans in place for extreme heat with a color-coded system for runners. The race began at 7:30 a.m. and a little after 10:00 a.m., we called RED alert, which strongly suggested that those still on the course finish the race walking. It was a nerve-wracking day, but the safety precautions combined with runner awareness and great work by EMTs and Simsbury Fire helped keep everyone safe. Our second X-Treme Scramble in July was another hot one. 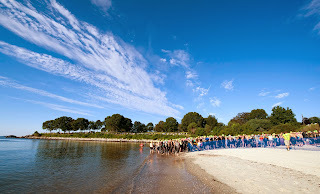 We do everything possible not to cancel races on our participants but we need to keep them safe. We shortened the course, added some great services like dunk pools, ice bags and cool water misters, and invited all registered runners to the post-race party even if they didn’t want to run in the heat. It’s not always day-of weather than can affect races. We were forced to re-route the Niantic Bay Triathlon to avoid areas along the Connecticut shore that were damaged by Hurricane Sandy. 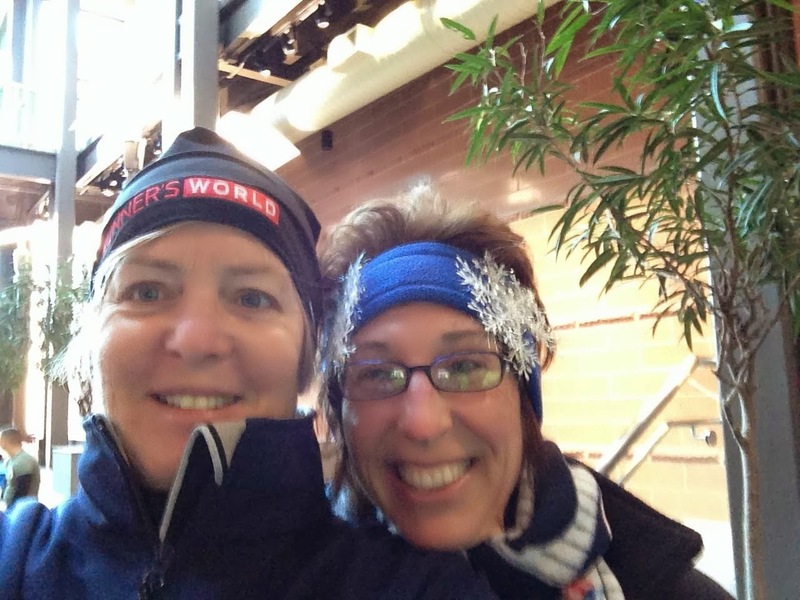 No course change or race decision is ever made lightly – we want runners to know we have always have their back, even when making the right call isn’t always the most popular. We can’t know what weather patterns lay ahead in 2014 for our races, but we will spend the short off-season planning for all possibilities. Have any ideas or feedback on HMF events, please share them in comments! The thing in my life that I am most proud of (after my children, of course) is my Manchester Road Race streak. This year, I ran my 40th consecutive Manchester. Yep, I am old. My first race was the year I graduated from Manchester High School – 1973. I ran after a loooong night of reconnecting with high school friends at the Hartford Road Café. 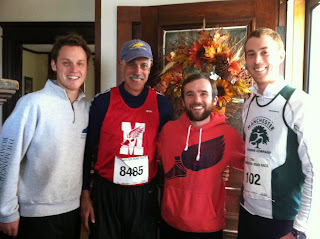 I was not a runner and in fact, had not ever been to the race even though it was in my hometown. I was too interested in the high school football game played at the same time as the race. So, in a no-sleep, foggy haze, I lined up at the start on Main Street on Thanksgiving Day 1973. 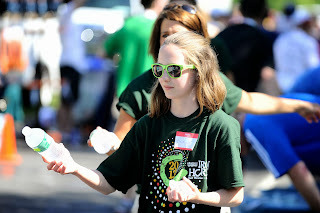 Females were not allowed to register for the race so I was running without a bib. In fact, I didn’t actually get a bib until 1976. By the mid 80’s I realized I had a tradition going. In 1985, I was invited to view the Macy’s Day Parade as a guest of the parade organizers and I turned them down because it meant missing the Manchester Road Race. About 10 years ago, I was asked to do the television color analysis with Fox, which was broadcasting the race for the first time. I said “no, I have to run.” Jim Balcomb, the Manchester race director agreed to keep the finish clock going and put my time into the results so I did the TV analysis and then ran the course by myself. I did this for a couple of years and people living on the course stayed out to cheer for me. In 1995, my brother, Peter, was living in California. He loved the Manchester Road Race as much as I so I carried my cell phone and described every step along the way to him. My family have been spectators in the same spot along the course for as many years as I can remember. 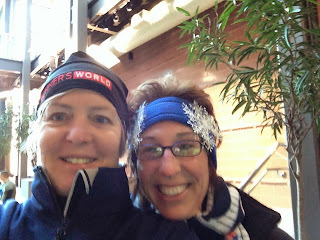 Snow, rain, freezing temperatures – they are out there to cheer us on. It is the same along the rest of the course. The same people standing in the same location year after year after year. In one spot, I have watched a high school friend of mine for 40 years. I saw Abby there during her college years, then standing with a man, then holding her babies and then standing alongside her growing children. Her hair is now gray but she is still at the same spot on Thanksgiving morning in Manchester. I now run with my own children, who I hope will continue my streak after I cannot. There is no better place or time on earth as Thanksgiving morning in Manchester, CT.